Before artificial intelligence (AI) transforms network infrastructure, the industry has to take preparatory steps. In particular, the existing most fundamental, layer 0, optoelectronic systems today need automation for full AI integration. Therefore, makers of such systems are learning from both automation deployed in other layers – such as the IP level – and innovative optical technology projects. Rettenberger, ADVA’s senior vice president for marketing and investor relations, stressed firms can first address the ‘low-hanging fruit’, where AI can help with network availability, robustness and efficient utilisation. ADVA already has automation experience in improving the overall efficiency of hardware use, as Ulrich Kohn, director of technical marketing, explained. ‘With automation you optimise utilisation across multiple layers,’ he said. Ciena Corporation, based in Hanover, Maryland, similarly sees an opportunity in reducing time-to-service. Mervyn Kelly, marketing director for EMEA, elaborated: ‘Let’s say an IP service transitions over an Ethernet network to an optical core. Provisioning the IP and Ethernet networks and optical core might require five or six process steps with different network management systems from different vendors. They used to call it swivel chair operations, when you look at one vendor management system, and swivel the chair round to the next vendor’s management system. That’s why it takes eight to 12 weeks for many service providers today.’ Ciena recently acquired a company called DonRiver whose ‘federated inventory’ process simplifies an operator’s understanding of its network across multiple layers and vendors. This knowledge should help enable automation, believes Kelly. Ciena already offers machine learning and AI in its Liquid Spectrum automation software in redirecting traffic to restore faults and optimising bandwidth. However, systems that enable preventative maintenance, and, in turn, ensure networks are available and robust, are more directly relevant to the optical layer. And these also already exist, for example, in the company’s Blue Planet Network Health Predictor. This exploits machine learning to assess data produced by fibre systems in realtime, Kelly pointed out. One component is the Kernel Density Estimate (KDE) non-supervised machine learning algorithm. ‘You basically let it sit and listen to the network for a period of time, and it learns what good looks like, and does a statistical analysis,’ Kelly explained. Another uses a random forest regression supervised machine learning algorithm, where Ciena labels good and bad data, while training the algorithm. Finally, a third time series forecast algorithm output from the other two algorithms to predict the network’s status. ‘Our algorithms for the network health predictor are about 95 per cent accurate, based on training from old data,’ Kelly said. ADVA likewise employs machine learning in predictive maintenance. ‘We have predicted component failures to customers and have seen in the next 14 days that the components failed,’ Kohn elaborated. ‘This helps them initiate repair cycles before something happens in the network, improving availability but also can help them with operational costs.’ For example, operators can schedule their maintenance activities during the daytime, which is less costly than requiring workers to work at night. AI can also help with network activation in two areas, expanded Kohn. The first is in planning and calculating performance to meet the service level agreement, which AI can help speed up. Validating AI performance in such areas, so that they can be relied on when deployed in a network is a key challenge for ADVA. At the SDN Network Function Virtualisation World Congress in The Hague, Netherlands, in October last year, the team demonstrated its machine learning engine in Maestro. The combination predicts which links are more likely to be congested, and reroutes traffic accordingly, adding extra parameters to routing decisions. ‘Today, everything is real-time measured congestion-based,’ Voll continued. In optical transmission, machine learning algorithms can be used to enhance transmission quality. One such possibility is using machine learning to understand real-time fluctuations and mitigate non-linear effects ‘a little bit better than with a deterministic algorithm.’ This might be implemented in a Digital Signal Processing (DSP) chip, Voll said. The Infinera team thinks that the efficiency improvements brought by AI might improve data throughput per dollar spent on hardware by more than a third. It could be possible to double throughput in the extreme case of a simple data centre interconnect problem, the Infinera executive suggests. But the effect on operational costs of a ‘fully automated network that takes most of its everyday decisions on its own’ could be even more important. Yet Voll believes that in physical fibre systems, that prospect isn’t an immediate one. ‘In our industry of optical transmission, there are next to no product implementations of machine learning,’ he said. ‘The reason for that is that the optical layer that you build is not as automated as an IP network. 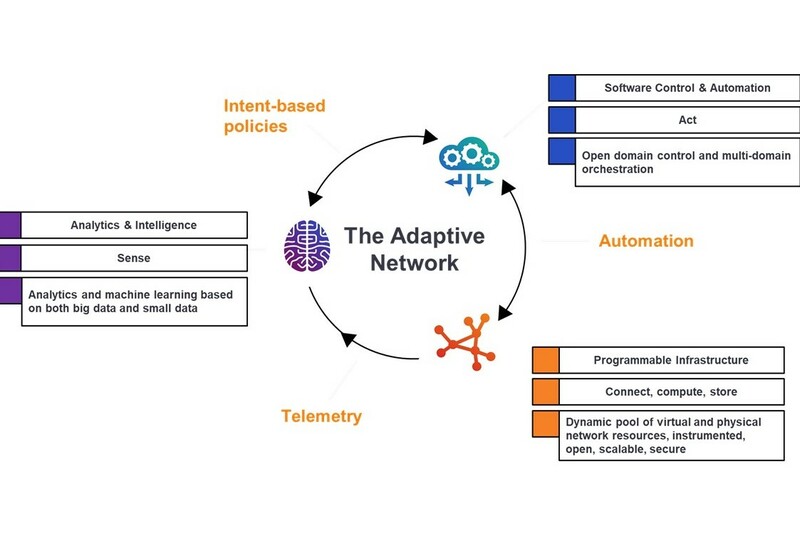 Nevertheless researchers at Nokia Bell Labs in Stuttgart, Germany, foresee that all levels of optical networks can benefit from AI ‘to a large extent.’ That’s according to Laurent Schmalen, department head in Bell Labs’ high-speed systems, signals and processing group in the IP and optical networks programme. 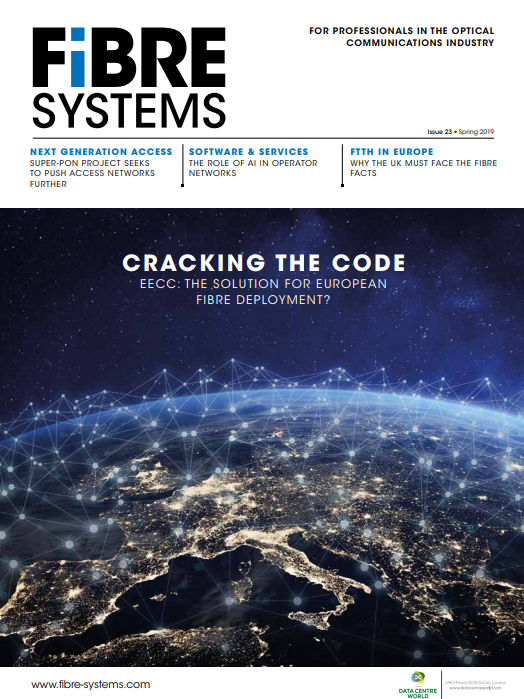 ‘Besides automated network management, a radical new approach is required to operate optical networks in a holistic, optimised and cost-effective manner, from physical layer to management layers,’ Schmalen said. Nokia’s work in this regard includes exploiting the flexibility of its Photonic Service Engine 3 (PSE3) coherent DSP chipset. Together with researchers at University College London (UCL), the Nokia team has demonstrated how to apply machine learning to optical signal modulation in a recent (15 October) issue of the Journal of Lightwave Technology. ‘For the first time, we studied and experimentally verified optical transceivers realised as end-to-end neural networks enabled by deep learning’. Such optical fibre communication systems, tailored to a channel’s nonlinear properties, cannot be designed using classical communication theory, Schmalen added. The Nokia/UCL system consists of an optical transponder in which both transmitter and receiver are realised using neural nets, transmitting short data blocks to keep complexity to a minimum. The researchers trained the neural network, optimising its parameters with sequences of known data that are available at both the transmitter and receiver. ‘Each such sequence receives a unique label and the learning algorithm minimises the discrepancy between the receiver output and the input to the transmitter, aiming at reconstructing the received, noisy sequences as well as possible,’ added Karanov. ‘The learned model is later used for transmitting unknown real data over the system, which is then also reconstructed with as little error as possible.’ While the experimental setup used idealised components and circuits, at 40km range the system outperformed the 42GBd PAM2 and 21Gbaud PAM4 modulation schemes. It could also attain bit-error rates below the required threshold for forward error correction to be used. Nokia now hopes that AI-enabled transceiver modules will be both simple and cheap to deploy through DSP blocks. ‘We believe that the operation will be simpler as well, as the modules will adapt themselves to the operating conditions and maximise the potential of the optical fibre, requiring less human interaction and thus keeping the operating cost low,’ Schmalen says. In this way, future visions that may once have seemed like science fiction begin their transition to reality. Such developments inspire people to discuss the arrival of fully-autonomous networks, and Kelly added, ‘quote passages from Arnold Schwarzenegger films.’ Yet he foresees human supervision persisting for a while yet, citing the example of a denial of service attack on such a network. One algorithm might send access control list data to all the network’s IP routers, preventing the attack but reducing their performance. Meanwhile, other algorithms intended to optimise network efficiency want to turn the access lists off. ‘You could easily have algorithms competing with each other,’ Kelly observes. ‘So you do need humans going, OK, which is more important. In the short term there will be a large dose of human intent-based policy applied between the analytics output and the network automation.